Sabesp provides water to and collects sewage from over half of the cities in the state of São Paulo, Brazil, including São Paulo the state capital and the country’s largest city. 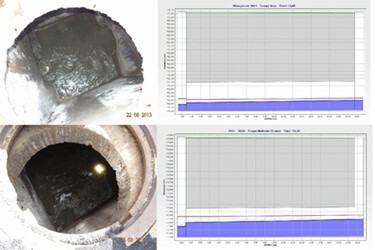 The utility is currently in the process of upgrading the Anhangabaú sewer system, which consists of 122.88 kilometers of sewer conduit network, with 1,749 manholes and 14,832 household connections serving an estimated 400,000 inhabitants. The system is located in an important historic area of São Paulo that is being impacted by urban sprawl; and because much of the government operates here and it is home to many hospitals, the area is under constant surveillance.